Visit local farmers, artisans & craftsmen for products & creative demonstrations at the Waldoboro Farmers’ Market. Nestled in a pretty setting, at this market you’ll find ready-made food, dinner fixings & flowers for your table or landscape. We also have some new vendors with food and craft products. Each week one of our vendors will give a demonstration of something about their farm or products. There’s a tent with information about the numerous scenic & recreational sites in the area, plus picnic tables & a garden. We have moved our location to 1600 Atlantic Highway. We will set up the market on the lawn in front of the Waldoboro Town Office. Our market is open Saturdays, 9:00am-12:00pm. Outdoor activities near the market: Cider Hill Farm is home to the Waldoboro Farmers’ Market, & also boasts a frisbee golf course (fee). Just down the road, enjoy the Town Forest, which includes a 1.5 mile loop trail, & an old growth Hemlock forest. 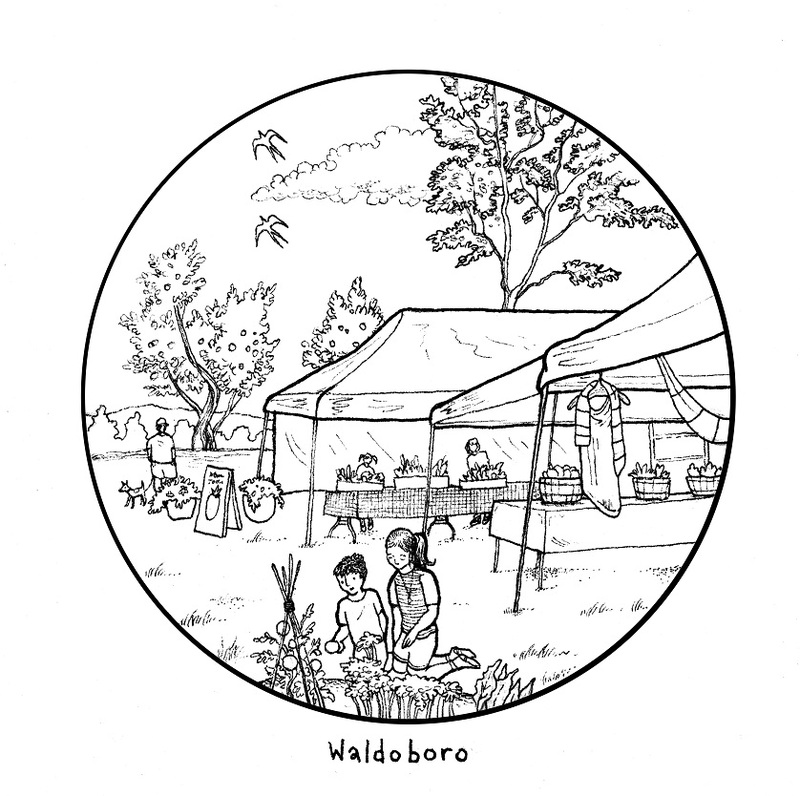 Indoor activity: Waldoboro Farmers’ Market coloring page here.